Ann-Katrin Pfeifer | Littler Mendelson P.C. 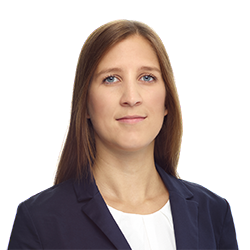 Ann-Katrin Pfeifer advises national and international companies in all areas of individual and collective employment law, representing her clients both in and out of court. She focuses on providing support with legal issues relating to notice and dismissal, on employment and service contract design, and on current employment law advice for companies in relation to all matters of daily personnel management.